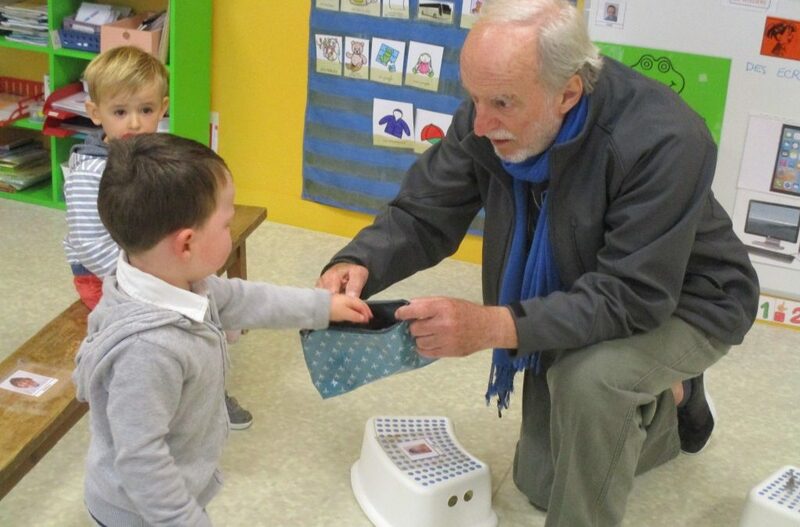 Jacques Brodeur is the founder of Edupax and the 10 Day Screen-Free Challenge, a media literacy challenge popular across France and Québec, Canada. In this blog, Jacques describes why disconnecting is so important and why Edupax endorses Screen-Free Week. In the late 1990s and early 2000s, I became interested in media violence and how TV time affected children. Between 1985 and 2000, the percentage of students with troubled behaviors in elementary schools had tripled and media violence was one factor in the increase. As an educator, I wanted to know more. In 2001, I was introduced to the Student Media Awareness to Reduce Television (SMART) program, which showed how screen time reduction was linked to reduced verbal violence and physical violence by 50 and 40% as well as obesity prevention and fewer requests for toys. As I learned more about media literacy and reducing TV time, I realized the importance of reducing screen exposure for children’s sake. Having been a physical education teacher for over 30 years, I chose to make screen-time reduction a sort of “game” between young people and professional digital entertainers. These guys get paid to create video games and social media designed specifically to increase screen exposure and sedentary behaviors, with no care for young people’s health. So, I created the 10 Day Screen-Free Challenge, a competition in which young people go screen-free while learning about how devices capture their attention and what they can do about it. Since its creation in 2003, the 10 Day Screen-Free Challenge has spread throughout Québec and France! Teachers loved it. Parents loved it. And most of all, kids enjoyed learning about how the industry makes profits by trapping their attention, more often, and for longer periods of time. While facing real professionals in the field of persuasive design is a very exciting “game” for children, I thought it would be more difficult to motivate teens to disconnect. In 2015, I introduced the Challenge to high school students for the first time in the jurisdiction of Vendée, France. In only four years, 25 high schools offered 7,000 students the opportunity to try the Challenge and evaluate their level of device dependence. Not only did the teens survive, but various benefits followed, as confirmed by evaluations from teachers, parents, and students. Empathy improved, verbal and physical violence went down, misogynist and homophobic humor became less funny and lost popularity, students spent more time reading, bicycling and other physical activities, and they spent more time in conversations with families and friends. What made educating for screen reduction so popular? 50% decrease in verbal and physical violence. Improved relationships between students, between parents and children, and between students and teachers. Less fights and mean language at home and at school. Interestingly, positive changes were witnessed more at home than at school, according to students. More time spent reading, more time spent in sports and other physical activities, including bicycling and walking. More time spent in conversations with family and friends. Better attention in class, better quality of homework. Closer relations between parents and school staff. Closer collaboration between school and community. A better reputation of the school in the community. The mood of students improved, confirmed by parents, teachers, and students. Improved critical judgment was witnessed by parents and teachers. The need for better media awareness consumption was confirmed by 90% of teachers in high schools. Critical media education was found to be welcome in schools by staff and parents. Screen-Free Week is a time to celebrate freedom – freedom from screens and persuasive design and the freedom to discover. I support Screen-Free Week because it’s the easiest way to evaluate my own digital addiction level. It’s a fantastic way to make sure that technology is a tool and not a drug. By replacing screen time with some other activities, my brain rediscovers hobbies that used to make me happy before, sometimes years ago. Every year, schools throughout the U.S., Québec, and France hold mandatory fire drills, although there have been few fires in recent decades. What if schools started holding a mandatory Screen-Free Week every year? Screen time has negative impacts in many children and teens in all schools throughout the world. Isn’t it time to start thinking about it – and getting organized to do it? Jacques Brodeur is the founder of Edupax, an organization dedicated to ending violence among school-age children and improving their quality of life. Jacques was a physical education teacher from 1967 to 2000, has authored several book chapters on media violence, and served on the board of the Action Coalition for Media Education.